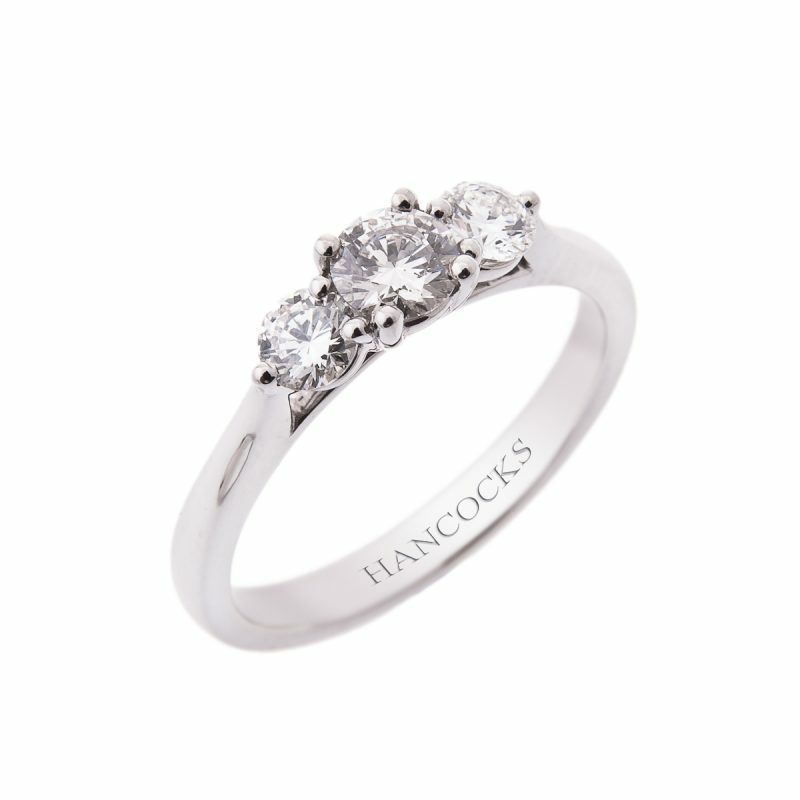 This breath taking three stone diamond ring features 3 beautifully matched brilliant cut diamonds mounted in a new take on a classic platinum claw setting. 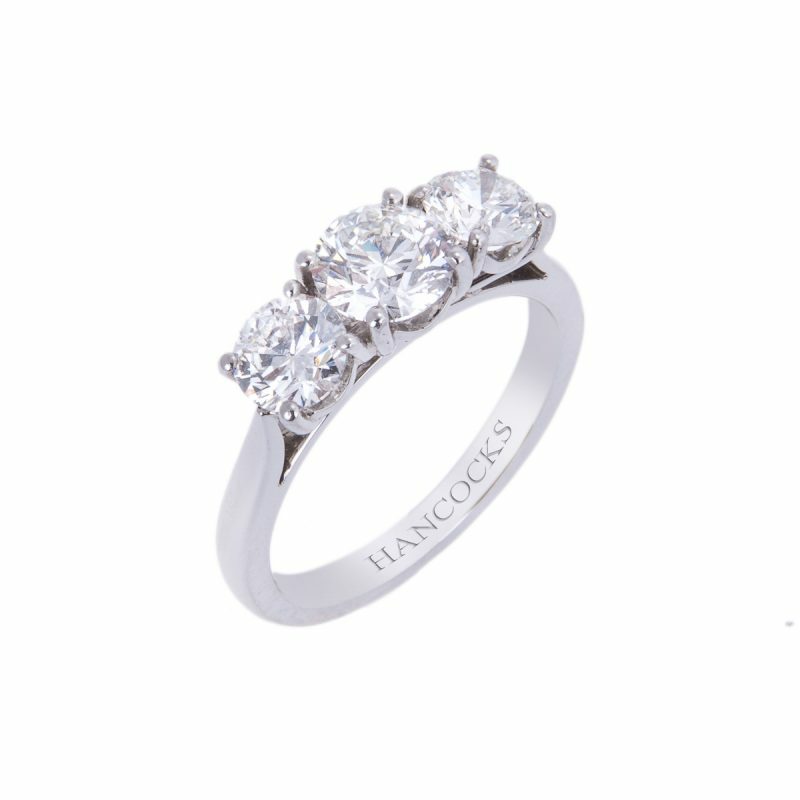 There are many factors that contribute to a diamonds brilliance, high-quality polish and symmetry all effect a diamonds ability to reflect light. 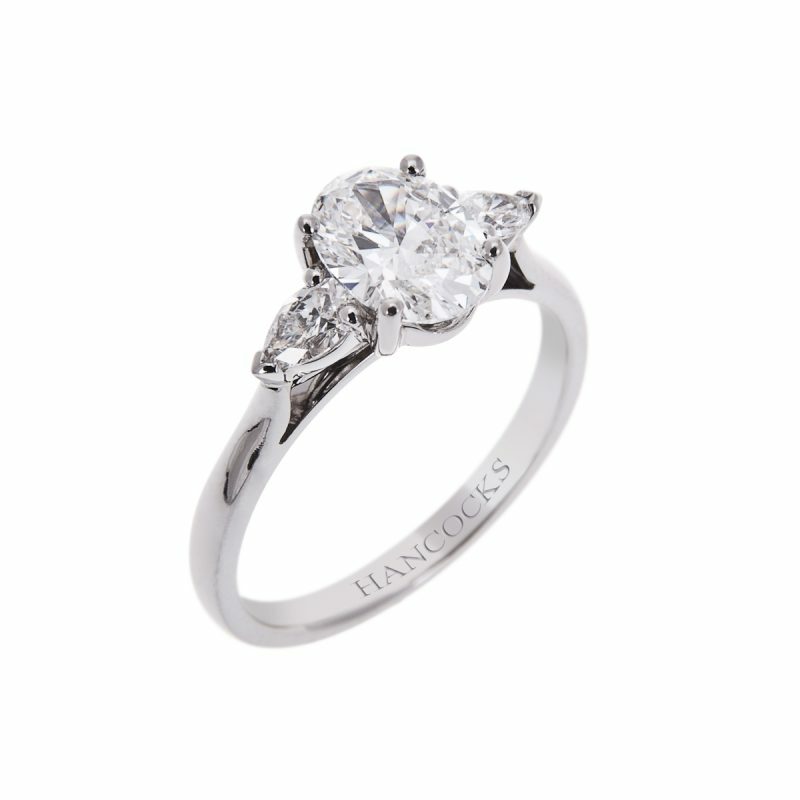 With this modern version of a classic three stone the diamonds are free to display their natural fire and brilliance.